Lego fan Kumbll has shared these cute creations in his Brickshelf gallery. 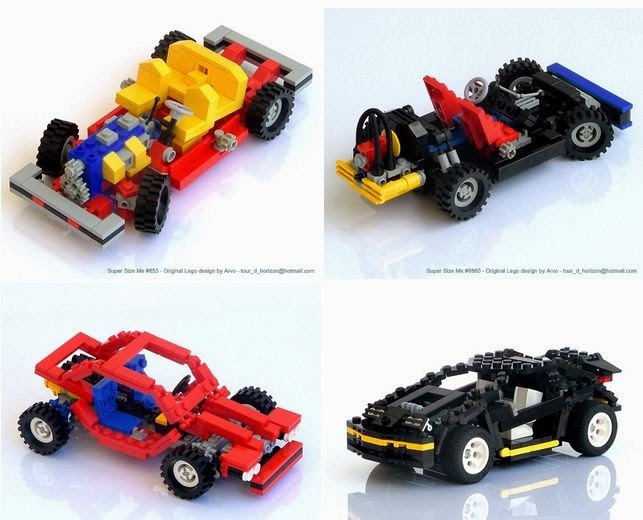 These tiny cars are the micro versions of the famous LEGO Technic sets from 90's. The shaping and coloring of the micro creations match the original sets very accurately.